Now you can support Tahoma Lacrosse Program by shopping at your local Fred Meyer store. 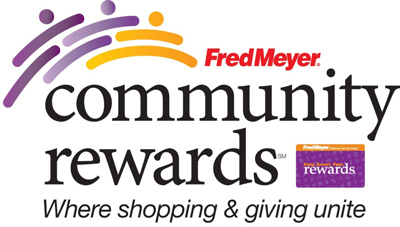 Fred Meyer is donating money to nonprofits in Alaska, Idaho, Oregon and Washington, based on customers who link their Rewards card to their favorite nonprofit. You’ll still earn your personal rewards points when you link your card to Tahoma Lacrosse Program. 2. Click on the “Link your rewards card now”. 3. Sign into your Fred Meyer member account. 4. Once you see the “Community Rewards Program” screen, type in 93898 in the box, then click on the “search” button. 5. When “Tahoma Lacrosse" shows up, click on the circle to link your card with Tahoma Lacrosse Program, then click on the “save” button. 2. Click on the orange “Register” button in the upper right of the screen. 3. Complete the form, then click on the “Create an Account” button. 4. Activate your membership by clicking on the email sent by Fred Meyer. 6. Now, follow the steps for those who have a Rewards card. Want to use your mobile phone for your Fred Meyer Rewards account? If you have an iPhone, iPad or Android phone, download the Fred Meyer app from iTunes or Google Play to begin your membership.